The Strahov Monastery is the oldest Premonstratensian monastery in Bohemia and one of the most important architectural landmarks in the Czech Republic. Backed by Vladislaus II of Bohemia, Bishop of Olomouc Henry Zdík promoted the establishment of a monastery. The Strahov Monastery was founded in 1143 near the path leading to the prince's castle, at a site where guards stood watch (the name Strahov is derived from the Czech word "strahovat", to stand guard), and formed when a community of Premonstratensian monks from Steinfeld in the Rhine Valley settled at Strahov. 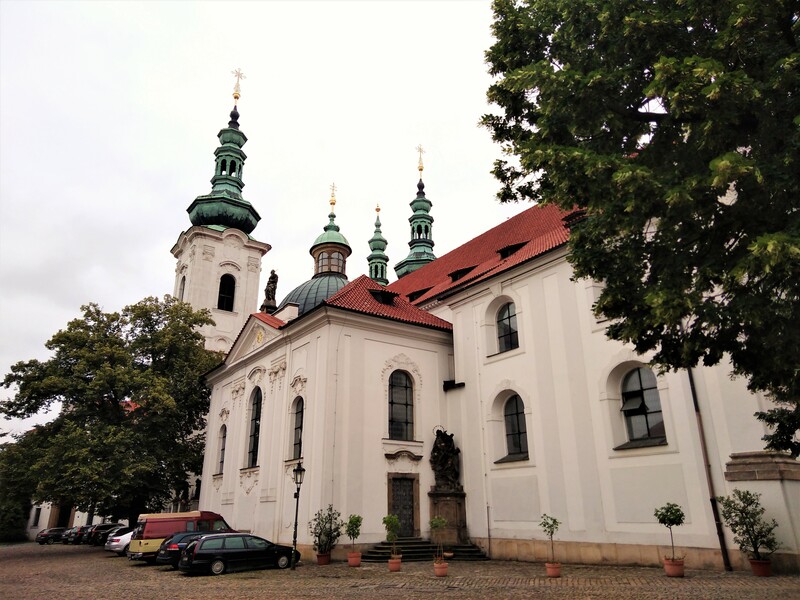 The monastery was very quickly erected as an extensive Romanesque complex that was larger than the nearby residence of the Bohemian Kings, Prague Castle. A document from 1182 reports that a second church was consecrated. After it was damaged by fire in 1258, the monastery was restored in the early Gothic style. 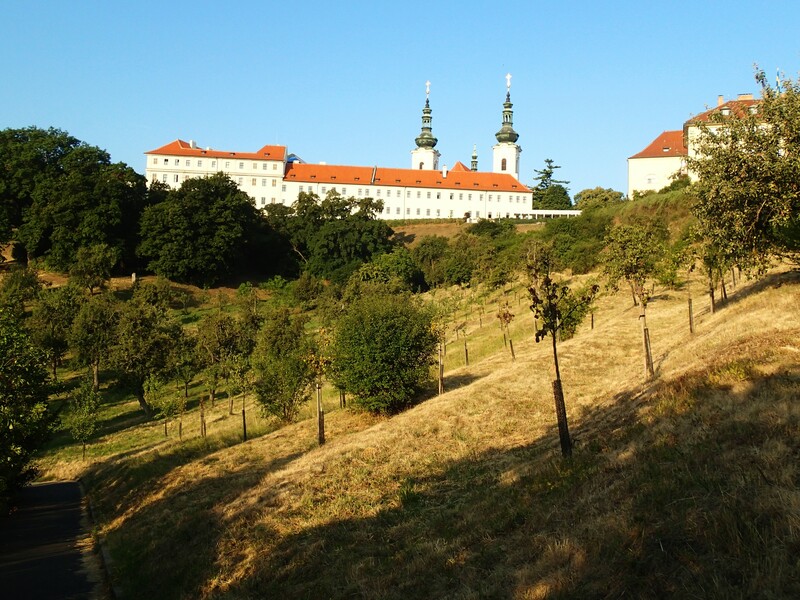 As a result of the Hussite movement, the significance of the monastery waned until it experienced a revival in the late 16th and early 17th centuries. In 1603 – 1612, the Gothic-Renaissance votive Church of St. Rochus was founded; it is currently deconsecrated. In 1627 the remains of the founder of the Premonstratensian Order, St Norbert, were deposited in the monastery’s church. The monastery was rebuilt in the Baroque style after the Thirty Years War. Architects involved in gradually building and adding to the Baroque church complex included Giovanni Domenico Orsi, Jean Baptiste Mathey, Kilian Ignaz Dientzenhofer and Anselmo Lurago. In 1671 the Theological Hall, an older prestigious room in the Strahov Library, was completed. 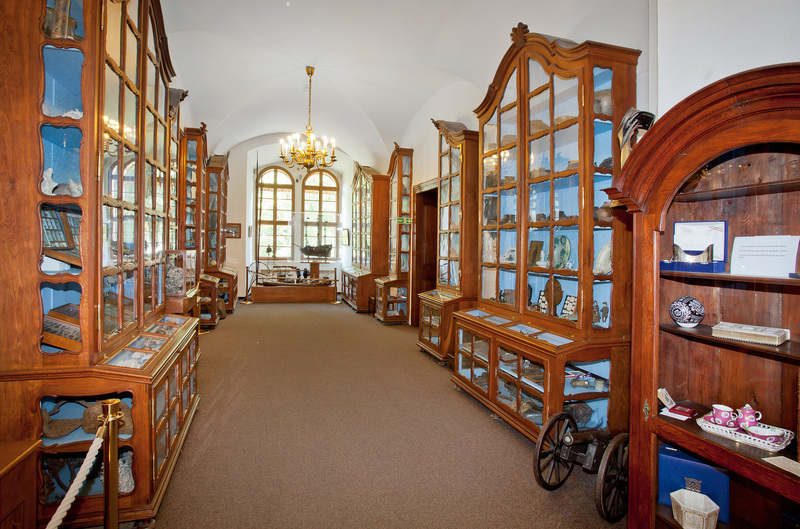 The Baroque bookcases contain theological texts and Bibles. The library holds a number of manuscripts and incunabula, the oldest book being a 9th century Book of the Gospels printed on parchment. Dutch astrological and geographical globes are also located in the hall. The convent was reconstructed at the end of the 18th century. The construction of a new Classical library with its large Philosophical Hall (length 32 metres, width 10 metres and height 14 metres), decorated with frescoes painted by Anton Maulbertsch, marked the end of new construction at the monastery. Of the agricultural buildings, the most important is the Strahov Brewery, where beer was brewed all the way up until the early 20th century. 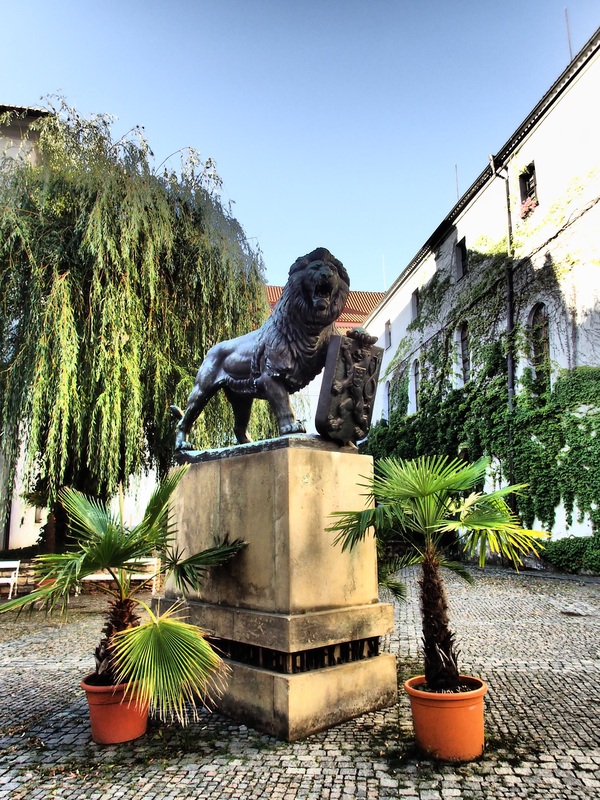 The Strahov Picture Gallery has been growing since the 1830s and features a remarkable collection of Central European art. Developments at the monastery came to an abrupt end in 1950, when the Communist Party seized control of the complex. After the 1989 "Velvet Revolution", church property was restituted and the monastery community has returned. The monastery once again belongs to the Premonstratensian Order, which is actively involved in pastoral work. There are currently 75 members of the order. The monastery's ground plan is in the shape of an irregular quadrilateral, with the abbey of the Assumption of Our Lady, originally a triple-aisle Romanesque basilica, located in the centre. Its current Baroque appearance stems from a reconstruction project led by Anselmo Lurago in 1742 – 1758. The overwhelmingly Baroque interior of the church is decorated with frescoes on the vault and murals depicting the life of St Norbert. The founders of the monastery, Duke Vladislaus II of Bohemia and Bishop Henry Zdík, are buried at an unknown location in the church. The church belongs to the Roman Catholic Church.